An awesome price on the best Shotgun Shells. 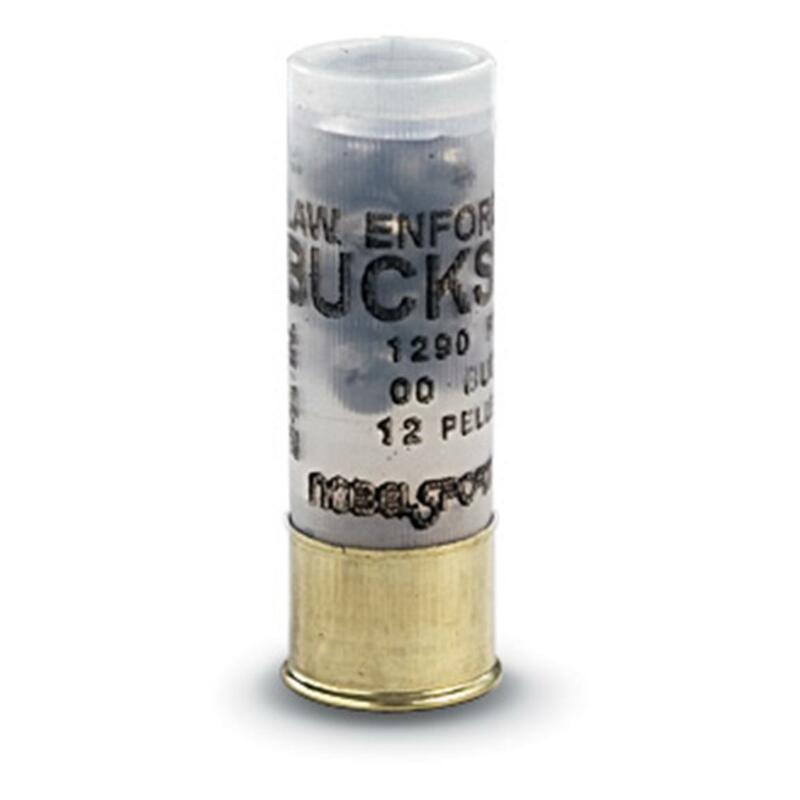 "Double aught" Buckshot Shells, made in Italy by the masters at Nobel Sport. 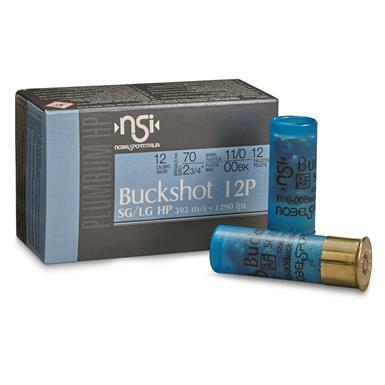 Nobel Sport Buckshot, 2 3/4 12 Gauge, 00 Buckshot, 12 Pellets, 10 Rounds is rated 4.8 out of 5 by 136. Rated 5 out of 5 by Brad dad from May never use Bought as ammo for my home self defense shotgun, may never know how well or not it works, price was right with free shipping. Rated 5 out of 5 by Hardy from 10 for the price of 5 Where can you get twice as much for your money in this day and time? Sportsman's Guide doubled the amount for the same price with these. You can't buy 5 00buckshot any where else for this price. I just got mine shipped directly to my door and didn't have to spend a dime on gas to go looking for them. No fighting traffic or crowds. Just picked up the phone and called my order in and got them delivered to my door. How is that for no hassle shopping? I opened them up and was expecting them to be an inferior product at this price. I could not have been more surprised. They are extremely well made and with 12 pellets in them. The ballistics are very good as well. I think I will order some more for deer season this fall so that I can go out and shoot some of these for fun and practice at this price. Also make great home defense insurance. I would hate to be on the receiving end of 12 of those 00 pellets. Rated 4 out of 5 by Im on it from performance I like the way it shoots, this is my first time using these shells and I like them. Will buy again.